French language evaluation test did the trick! - Gateway to Canada | Canada Immigration Consultancy! French language evaluation test did the trick! Ms. Romina Santos is a Registered Social Worker, single, without Master's Degree and with only one year related work experience. Even if she has a relative in Canada and gets a perfect score in IELTS, she wouldn't have met the 67 points pass mark if not for the additional points from French Language. I first met her parents when they attended the visa party last year. Her parents' occupation were not included in the 38 prioroty occupations under the Ministerial Instruction 1. 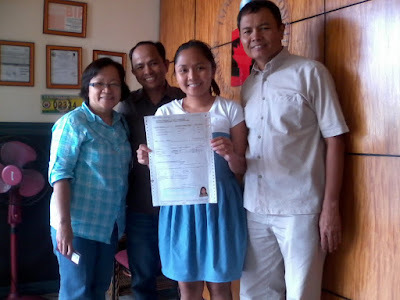 Her mom also submitted her resume for assessment but at that time, Social Workers were not included in the list as well. They were quite sad, as they really wanted to live and work in Canada. When the Ministerial Instruction 2 was issued, I immediately inform them about the opportunity for the Social Workers. But there's a problem. She wouldn't meet the pass mark unless she got additional points from French Language. I told them that if they really wanted to live and work in Canada, she has to take the French language evaluattion test (TEF) to get additional points. It wasn't a problem for her at all because she's currently working as a French Call Center Agent.